Fantastic recipes - LOVE SPIRAL BOUND! All the cookbooks are great. They have all helped me branch out and discover things I never thought I would like. Asparagus soup? DELICIOUS! (Can't believe it)... I started with the sweet potato soup and made that over and over (fantastic) but then I realized I had to try the others. I loved every single recipe I tried. We make at least one soup a week. I love the Split Green Pea Soup; red, yellow, and orange pepper soup; zucchini and herb soup; cream of mushroom soup; onion soup; tomato soup; butternut squash soup; lentil soup; and his recipe for chicken stock. And the Turkey Chili is delicious. There are still many recipes that I haven't tried (spinach and chickpea, barley soup, there are a couple of other lentil soups, green curry thai soup with shrimp, etc.). One recipe that sounds weird to me is the Mango, Red Curry, Chicken soup. But I bet once I try it, I'll love it! That's how I felt about the asparagus soup... totally shocked at how delicious that was! I have all the cookbooks and they are all easy to follow. THANK YOU FOR THE SPIRAL BOUND AND QUALITY PAPER. I have tried several recipes from the vegetable cookbook which were wonderful, but tonight was the first time I tried anything from the soup cookbook. My husband and I thoroughly enjoyed the chili recipe and, believe me, he is very hard to please. This was the best chili we have ever had! Keep up the good work, Muriel - I look forward to another soup recipe this week. So glad I purchased this cookbook. I just made the bell pepper and onion soup and the legumes and spinach soup. Flavorful and nutritious. I am so happy with this purchase. Thank you Muriel and Andrew! Thank you, Muriel and Andrew. I love soup, and all my favorites are here. My post-gall-bladder removal means that liquids are the least taxing for me, but canned soups have lost their appeal for me. Split Pea, Mushroom, Cauliflower, Lentil ... such great ways to prepare vegetables and legumes, ways that include healthy fats, in small amounts, loads of healthy spices and how to use them (I've never been one to venture beyond basic herbs in a jar), and so fresh and nourishing. The nutrition information with the number of fat, protein, and carb grams is extremely helpful and encouraging; I'm eating well without a lot of fat or refined carb and getting fiber at the same time. Over time I saw the negative effects of canned soups, even though they were full of healthy ingredients; the sodium levels are unreal and I want to stop the exposure to Bisphenol-A. These are such a great alternative to frozen vegetables slathered with butter or canned beans ... thanks so much. I love your supplements but I also want to try to nourish my body with the food I put in it. It is so much easier to do that with these simple and efficient recipes composed of wonderful things from nature. I can't wait to work through the entire book. Yum! Cookbooks, that is .....This book is outstanding in every way. Beautiful layout al la Wegman's style. More importantly, the soups are delicious and don't have an icky "health food" taste. Some of the ingredients are not so easy to find in rural stores but worth the search effort as they add a subtle exotic flavor to the dishes. 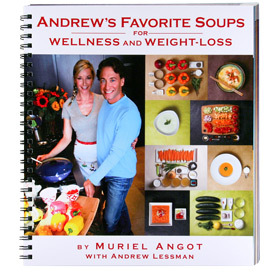 I would love to have another book on Andrew's favorite main dishes please Muriel. Buy the book - even your kids will enjoy these soups (just don't tell them what is in it). My Newest and "Bestest" Food "Bible"
This is one of the most beautifully laid out and illustrative cookbooks I own. But first, to the recipes ... I'm trying one every other day and love every one of them. 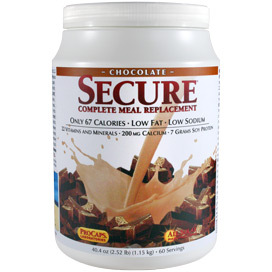 The ingredients used in them are all my favorites and then to know the nutritional values and benefits is a plus. Muriel and Andrew, you did a magnificent job on this. Every other cookbook I have pales in comparison to this. I would not expect anything else from anything Andrew touches ... always perfection. I'm so excited about this cookbook that I'll be ordering several in the next few weeks to give to some of my favorite people for Christmas. Oh, did I mention the soups satisfy my appetite, make me feel healthier, please my eye, warm my heart. Thank you so much you two. It would be hard to outdo this one, but I wouldn't be surprised if there's another one like this on the horizon from you. I'm not a big fan of vegetables - but I will eat almost anything if it's in a soup. I tried the Green Split Pea Recipe and the Cauliflower Soup Recipe just after receiving the cookbook - FANTASTIC. I'm trying the Mushroom Soup Recipe tonight - and the Asparagus tomorrow. If they are as delicious as the first two recipes I tried, I'll be thrilled! Not only did I enjoy them, but they make a full meal for my elderly parents - and the friends who sampled the results absolutely LOVED the soups. Andrew and Muriel have a real winner here. I've love to see more cookbooks from them - soups, casseroles, etc. I'd also like them to include a good broccoli soup recipe - one of the few vegetables missing from this cookbook. Not only are the soups good - but I'm learning a lot. 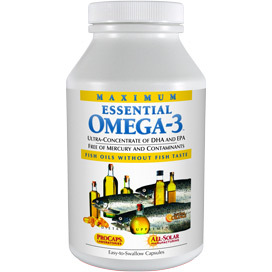 I find that I do online searches for information on ingredients I may not have used before - shelf-life, cleaning, etc. I learned quite a bit about leeks before I tried the cauliflower soup recipe and I did a lot of research on various types of mushrooms to get ready for the mushroom soup scheduled for this evening! Thank you!!!!! Great way to get your veggies! I just got this cook book in the mail from HSN on Tuesday and on Wednesday already made the Cold Avocado Soup with crab and it was AWESOME!!! I love the visuals this cook book provides and I like the way it focuses on soups. I am soooo sick of cook books that have tons of recipes with no pictures. Please make another one!!!! I want to thank you for making this book. I have not received it yet, but I just want to say that I live alone, and Soups are one my favorite things to fix because I can have leftovers for another meal. I also have some weight to lose so this cookbook will be an added plus for me. 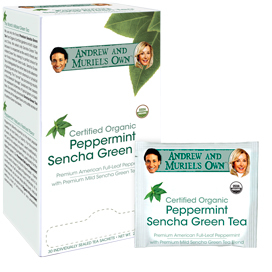 Love your products Andrew, Thank you again, and also thank Muriel for this great item. Tracy G - St. Joseph, MO. ((Thank You)) so much Andrew and Muriel! I am a soup fanatic and this cook book is my new and best favorite. Extremely well done and easy to follow. You do not need to be a seasoned cook to make healthy, perfect and interesting soups. 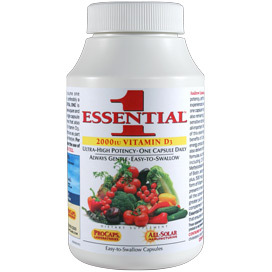 I have been a fan of Andrew Lessman and his vitamins for quite a few years. I watch Andrew every time he is on HSN. I can honestly say the knowledge I have gain from him has been life changing. 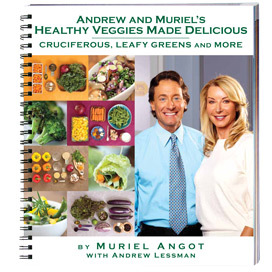 This cookbook is a wonderful extension of Andrew's teachings and Muriel's ability as a creative chef. 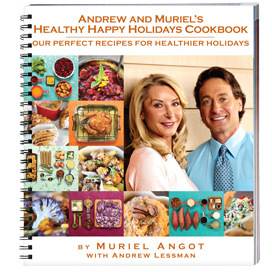 I love the variety of flavor and texture Muriel has created with Andrew's favorite ingredients. I also love there are hot and cold options. I look forward to more cookbooks in the future....Salads perhaps:) Congratulations to the both of you on a job well done !!!! Bought Andrew's cookbook obviously for the recipes, but was pleasantly surprised by the layout and photography. Nice cookbook, great recipes! I really do not love cooking, but these recipes are so easy to prepare that even I have enjoyed making them. I have made the Tomato Velvet Soup, the Creamy Asparagus Soup with Chicken, and the Zucchini and Herb Soup. My entire family (including the kids) all loved the soups. The presentation in the book makes all of the recipes easy to follow and I know I'm giving my family something healthy to eat... so Andrew and Muriel... all I can say is Merci Beaucoup and keep the cookbooks coming!!!! OOPS!!!! I just wrote a review...and sorry if I confused anyone..... Correction: Dr. Oz wrote the intro to "Eat to Live"
I have a ton of cookbooks and this has already become my favorite. The pictures are beautiful and inviting, the instructions are clear and the soups are delicious! Having a picture with each step is wonderful! All the ingredients are easy to find in my grocery store. I also love having the nutritional info. My husband loves the soups we've made so far and is requesting soup and salad as a meal each week. I never thought my steak and potatoes husband would fall in love with soup! These recipes are great for us to do together since he enjoys chopping the ingredients. Please bring more cookbooks! The pictures are fantastic, recipes are easy to follow and ingredients are easy to find, nothing in these recipes that you never heard of before. The spiral binding is wonderful. You can have this open on the counter and not ruin the book. Beautiful Cookbook I love it. I purchase quite a few cookbooks and this in one of the best. I love that each recipe has several pictures and easy simple directions not to mention the nutrition information in detail for each soup. Have not made any of the soups yet however, can see myself trying several. Just had to stop what I was doing and let you know how impressed I am with this book. Please do many more books and I will purchase each one. Thanks for making this book simple to follow. It has very nice layouts and the pictures are clear and the recipes don't want to make me give up, very well done. I have fallen in love with three recipes already. Thank you both for doing this for us as I know it takes a lot of thought and work to make a good cookbook. The key word here good. Getting one for a couple of my children because of how nice it's done.